Vista Alegre is sometimes seen as one of the most exclusive places on the island. Just outside Es Cubells, and close to Porroig. Vista Alegre is a secured urbanisation with many luxurious and often modern homes that all offer beautiful sea views. The prices may be a little higher here, but you will get a top location in return. 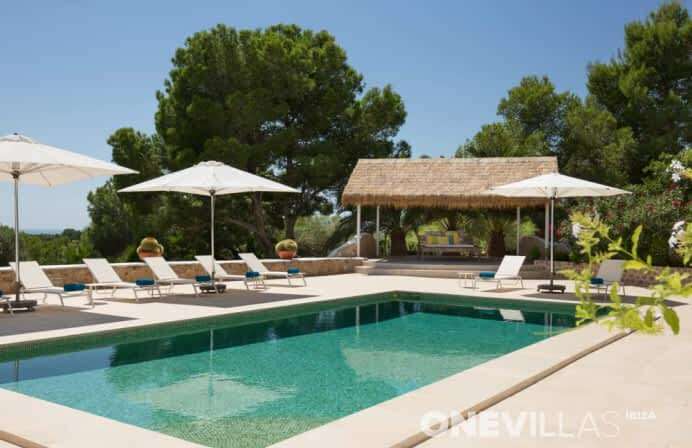 Alongside the homes that we show here, we also have a number of very exclusive villas in the area that belong to owners who prefer not to have their property advertised. Please ask for further information, and maybe we will be able to assist you. 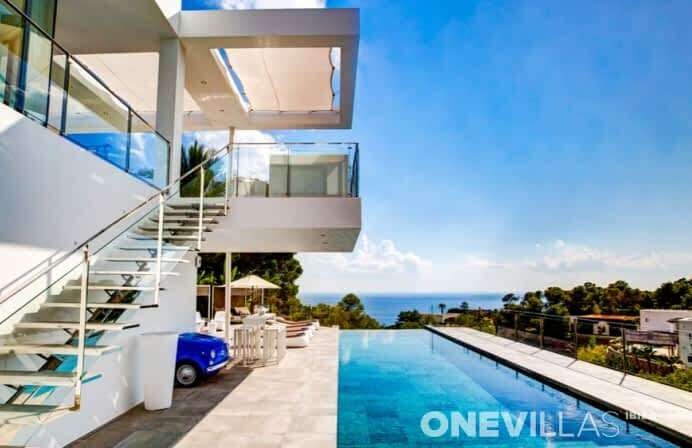 Do keep in mind that these homes start at around €20,000.00 per week. 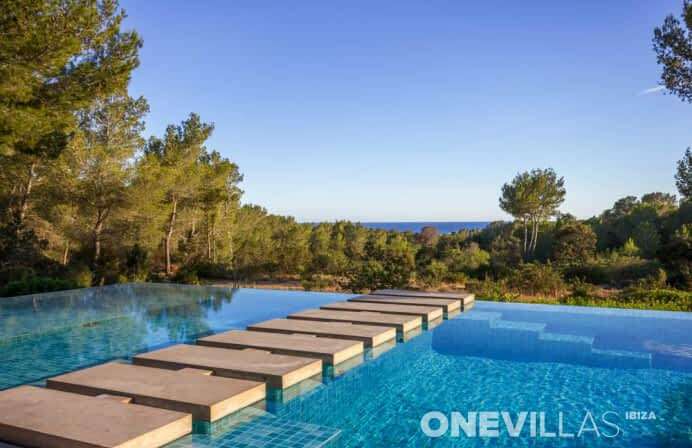 Vista Alegre is located some 9 minutes’ drive from beautiful beach bars like the Blue Marlin, Tropicana and the Yemanja on the popular beach of Cala Jondal. San José is just a 12-minute drive away. Ibiza town can be reached by car in 20 minutes, and the airport is a little closer than that.